Today, I would like to bring you great news. 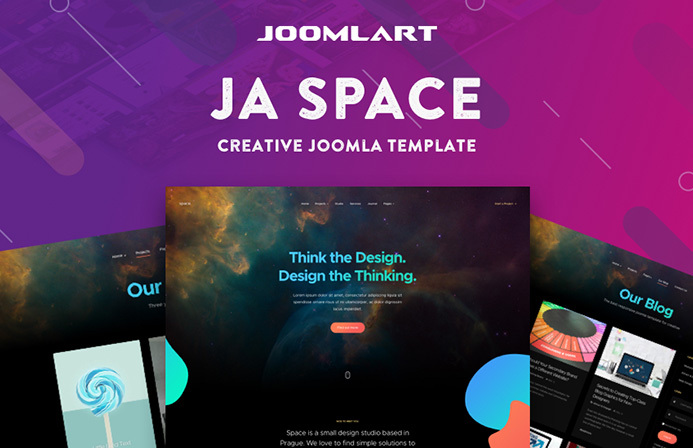 We are going to release 2 new Joomla templates this month: JA Space - Creative Joomla template for Portfolio, Agency and GK Evo News - News and Magazines Joomla template. Let's check PREVIEW of the 2 new templates. The Joomla template for Portfolio and Agency helps you quickly build beautiful and creative websites to bring attention to your portfolio, design projects or agency services with all the elements you need in one place. It is responsive for the full experience on any device or screen-size, supports all default Joomla pages and more.